VoIP Phone System Disaster Recovery - What's your plan? Business disruptions are bound to happen. Are you prepared? 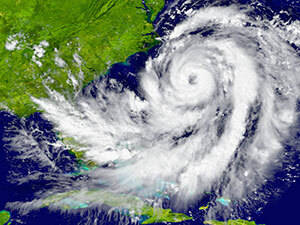 In a disaster situation, you could lose business for days or weeks without a reliable phone connection. With Star2Star’s StarRecovery system, you’ll never have to worry again, no matter what happens. One of Star2Star’s many business communications solutions, StarRecovery is an innovative disaster recovery system that allows your business to maintain telephone service despite power, telephone and Internet outages, or even destruction of your facilities. With StarRecovery, your emergency plan is always in place, all the time, sending your customers the message that you’re the most reliable business in your industry. Best of all, the entire StarRecovery system is in the cloud. It does not rely on any facilities or equipment at your business location and does not cost anything to deploy. During hurricane Sandy, a number of businesses lost power and phone lines. Those companies with Star2Star’s system never experienced downtime. To experience this kind of uptime, choose StarRecovery, Star2Star’s innovative, proactive business continuity solution. Download our brochure to learn more.